The Der'em are, or were, biped, squat creatures with carapaces. They had a two-stage life where until they were full adults, they lacked a carapace. They would go into a deep hibernation for a couple of galactic years at some point in their adolescence, and when they awoke, it was as a mature, carapaced adult. They also underwent a personality change that was quite pronounced during this period, gaining in intelligence and, most importantly, judgment. The young, uncarapaced individuals were quite headstrong and impulsive as a rule. The Der'em first reached spaceflight about 74,000 years ago. When the Vonikin Krel began to lure younger members of the races of Starmourn to their homeplanet in order to torture them for sexual pleasure, the Der'em race proved to be particularly vulnerable. The youth among the Der’em, in particular, seemed drawn to this lure placed by the Krel, and as the losses slowly mounted over the centuries, the Der’em, who were a brilliant, but not powerful, species began to agitate amongst other races, insisting that the Vonikin Krel must be stopped, by force. For a decade, the Vonikin Krel watched, with a level of amusement, the efforts of the Der’em to paint them as the villains they are, for a decade, but as the Decheerans, Amaians, Shen, and Tukkav began to take note, they were less amused. Whatever the truth, it is certain that the Krel hired the Free Fleet to attack and destroy the Der’em home world, in a massive assault aimed at crippling them permanently, at least, and perhaps wiping them out in near-entirety. And when the Free Fleet accepted a job, the Free Fleet performed. The Der'em were a brilliant, but not a powerful race, and had long relied on the fact that they provoked nobody and sought no one else's territory and resources, along with their cloaking technology, which was among the finest known, to protect them. However, it wouldn't save them from the sheer might of Commander Mezer Juul's hammer. The Fleet smashed into the Der'em's Ventosian home system, and the Der'em could do naught but delay the inevitable. In a last-ditch attempt to save their civilization, they launched a small fleet guarding an off-world research station carrying an untested prototype of their greatest cloaking achievement yet - technology that would cloak an entire planet - and opened a one-way wormhole, channeling as much energy as they could direct at it. Now, because of the fundamental nature of wormholes, a one-way wormhole is much more difficult to precisely target. It's also a fact that the energy cost to create a temporary wormhole increases faster than linearly with distance, though not exponentially. As a result, there's a rough optimum distance that skipdrives on starships use to create their one-way wormholes, and instead of skipping across huge distances, they skip repeatedly across short ones, at a much reduced energy cost. In this case, though, the Der'em had no choice but to escape immediately, and so, knowing that where they'd end was fairly unpredictable, they opened a massive one-way wormhole and sent their small fleet through it, hoping that they'd find survival at wherever fate took them, and that the Free Fleet would be unable to follow. They made it safely through, but the larger the wormhole, the longer it takes to close, and the Free Fleet was able to arrive and deploy a wormhole stabilizer before it closed, leaving the way open for them to pursue the Der'em, which they did. The Der'em's oversized one-way wormhole was, as they knew, unpredictable. They had aimed it not quite towards the Galactic Core, but on a path that would cross near it. As the whims of quantum fluctuations would have it, the wormhole deposited them just outside of Earth's solar system. Earth's native species - Humans - had already achieved spaceflight, but had not yet made contact with any other spacefaring civilization, though there were colonies on its moon, on Mars, in the asteroid belt, and on various moons of Uranus and Jupiter. The Der'em ignored them all, and sped straight for Earth. On arrival, they quickly deployed their ULTs (Universal Language Translators) to communicate with the leadership of the United Earth Alliance, and, seeing that the Free Fleet had managed to pursue them through the wormhole, informing the leaders of Earth that their destruction was likely on the way. This left humanity reeling, and Toran Greymon, the Prime Minister of the UEA, declared immediate martial law, allowing him to direct the resources of the entire race as he determined necessary. He and his staff then became the first human beings to stand face-to-face with an alien race. By this time, those of humanity's outer colonies in an orbital position to detect the Free Fleet had, and when the Fleet began to destroy them, emergency distress calls were broadcast to Earth. It was clear that the Der'em were not bluffing, and that a hostile force Earth could not hope to stand against was going to arrive imminently. The Der'em had one final gambit to play, and they didn't know if it'd work. They proposed to Toran Greymon that Earth turn over its entire unified power grid to the Der'em, that they may use it to power the planetary cloaking device they'd developed to hide Earth. Seeing no other choice, Toran reluctantly agreed, and broadcast his fateful message to those off-world humans who would be left to the predations of the Free Fleet. To all the children of Man. Since we first cast our eyes towards the stars, we have wondered if we are alone. We spread our wings and left our planet to begin to explore our solar system, and saw ever further into the void. And still we wondered: Are we just a beautiful aberration? Are we unique? We built the shipforges, and birthed the colonies to reap the resources of Earth's sister planets. We began to prepare to expand outside our solar system. The galaxy seemed ripe for our taking. Two days ago, we got our answer. We are not alone. We can confirm that the incoming invaders are real and that they possess technology that far surpasses our own. We cannot hope to fight them. The Der'em, with whom we first made contact 43 hours ago as they fled this Free Fleet, offer us a way to hide Earth and save both our species from genocidal destruction. It is true that we would not be in this position had the Der'em not arrived in our system, but they did, and here we are. We do not abandon the rest of you willingly, yet we must do so to save our species. Mankind will live on. Goodbye, my friends, and good luck. What happened to Earth? When the Free Fleet arrived, it was simply gone, not merely invisible. Did the Der'em technology work as intended? Did something go wrong? We do not know. The Free Fleet wiped out humanity's colonies and, as told in the holocording of Sgt. Kemran James, kidnapped the final 1600 humans off a penal mining colony on Callisto, a moon of Jupiter. The Fleet, which was able to use the existing one-way wormhole to open a two-way wormhole between its original location and Earth's system, then returned to Starmourn sector. Again, as told by the historical figure Sgt. 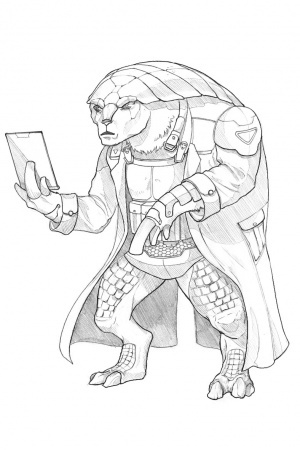 Kemran James, the Commander Mezer Juul's decision to capture the last of the humans ended up having quite an impact on Starmourn, culminating in the formation of Scatterhome. This page was last modified on 10 August 2017, at 00:10.